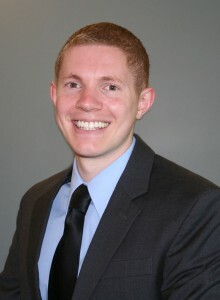 Dr. Walsh is passionate about delivering excellent, efficient, and comfortable care to his patients. He was born and raised in Olympia, Washington and attended North Thurston High School and Saint Martin’s University. Dr. Walsh is a graduate of Oregon Health & Science University School of Dentistry in Portland, Oregon where he served as school president, was active in dental research, and received multiple awards for his esthetic and reconstructive dental work. After dental school, Dr. Walsh completed an optional and intensive general dentistry residency at St. Alphonsus Regional Medical Center and Idaho State University in Boise, ID. He is a member of the Academy of General Dentistry, American Dental Association, and the Thurston-Mason Counties Dental Society. Dr. Walsh and his wife Amanda, a registered nurse and also an Olympia native, are excited to return and provide care to families in the area. In his down time, Dr. Walsh has enjoyed volunteering to provide emergency and educational dental services to special needs children and adults through the Special Olympics, as well as homeless and underserved patients through Medical Teams International and Mission of Mercy. Dr. Walsh was also an active volunteer at the Boise Humane Society. Since returning to Olympia, Dr. Walsh has enjoyed spending one of his days off teaching at the South Puget Sound Community College Dental Assistant program and serving patients at the Olympia Union Gospel Mission dental clinic. Dan and Amanda enjoy all of the wonderful activities that the northwest has to offer: spending time at their family cabin on Lake Cushman, hiking in the Olympics and on Mount Rainier, running and biking with their dog around Olympia, learning to surf on the Oregon coast, martial arts training, spending time with family, and of course, watching the Seahawks.